“It started as a joke and then it all got out of control” this quote from Paul Newman, the legendary actor and founder of Newman’s Own Organics dog food (Newman’s Own in its many product manifestations), seems to encapsulate the spirit behind this dog food company. After getting rave reviews for his homemade salad dressing that he handed out to friends and family packaged in parchment labeled wine bottles, Newman kept going and experimenting. 30 years and 200 hundred products over a span of 20 lines later, the ‘one thing led to another’ approach while keeping quality and branding paramount seems to have paid off. Not just for the company itself but for the Newman’s Own Foundation. After creating a salad dressing and food line for human consumption, Paul Newman and his organization began to create food for our canine companions. Our dogs are important parts of our families and the Newman’s Own Organics dog food understands and honors the importance the roles our dogs play in family life. Our dogs deserve a healthy and well balanced diet made from whole foods and mimic the food a dog would choose if left to their own accord. Also, the dog food line is another product that adds to product lines of Newman’s Own that fund charities on a global level. Newman’s Own Organics is not a particularly dog food-based company, preferring instead to concentrate on a wide variety of products from frozen pizzas and microwave popcorn to wines and chocolates. The coffee and barbecue sauce may be absolutely delicious, but your dog may not be too interested. Judging by the list of ingredients, it is probably best to not let your dog get into any of them. Staying along the lines of Newman’s Own Organic dog food, made for your dog, will be best! The Newman’s Own Organic dog food line is of the same high quality and perfect recipes as the food made for human consumption, but developed in a manner to best appeal to your dog’s unique taste. Dogs need to have their food developed in a certain manner, generally relying upon the base of a protein diet. The Newman’s Own Organic dog food line adheres to the diet guidelines required for dogs and surpasses the basic recommendations by using more ingredients offering high levels of vitamins and nutrients. 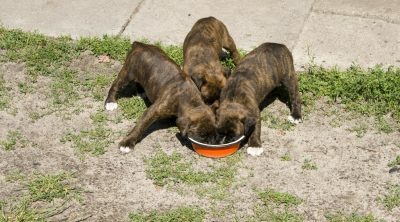 The three basic components that make up dog food are proteins, fats and carbohydrates. Domestic dogs do not have the ability to read and understand the importance of certain foods in their diet, and dogs must go on the natural instinct within them which has evolved over time. The natural instinct of a dog is to crave, hunt, kill, and eat food that derives from an animal source. Dogs in the wild hunt and eat other animals lower on the food chain to survive. In domestic life, the dog is fed food from its owner that (ideally) mimics the diet a wild dog would hunt if left without a human. Newman’s Own dog food provides all three diet building blocks of proteins, fats, and carbohydrates with ease. It is hard to ascertain exactly where these facts from their website derive from, and there is a good reason for this. While some premium brands use fewer than seven ingredients, Newman’s Own boasts more than fifty and some are quite impressive. While having fewer ingredients are better per se, the added ingredients in the Newman’s Own Organic dog food brand are added vitamins and nutrients, not added fillers. The ingredients provide a whole, natural, balanced diet designed to keep your dog healthy and well without complications. Utilizing fifty ingredients to blend and mold together allows more opportunity to generate the much needed building blocks for the healthy dog’s diet. The listing of ingredients on any food may be difficult to pronounce and understand, and this is not any different with Newman’s Own. Many may shy away from buying food that has ingredients listed that we are unable to pronounce easily. One should not write off the difficult sounding words so quickly, and instead research the name of the ingredient and be pleasantly surprised when you are able to find the name of the food in its common term rather than its scientific name. For example, Dehydrated Bifidobacterium Thermophilum Fermentation Product does not have the same ring to it as turkey for instance, but may well be as equally nutritious as it promotes a healthy digestive system. A little research goes a long way in deciphering ingredients and a proper diet. Newman’s Own may have a lot of ingredients used throughout their brand lines, but the company only features three dry dog food products – so let’s look at their most popular. As of now, there are two Newman’s Own Organic dry dog food lines. the lines are for dogs of all ages, but recommended for the older dog and not puppies. 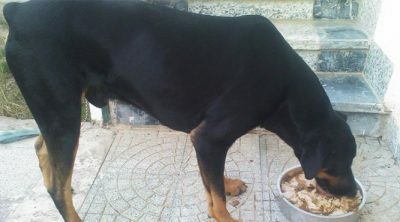 Puppies that regularly eat foods meant for adult dogs and are high in protein run the risk of developing serious side effects from the imbalance of nutrients. This food is for all life stages, but you may wish to speak to your vet in regards to the food needed for a puppy. The names of the dry foods from this product line are ‘Newman’s Own Adult Dog Formula’ and the ‘Newman’s Own Advanced Dog Formula’. The dry food has an online rating of 3.5 stars out of 5 stars, and may be considered to be mediocre compared to other natural product lines. The average rating is four out five stars for both the dry and canned food lines. This is a good score, but could be improved if the product lines expanded and / or higher protein counts were listed. The Newman’s Own Organic canned dog food line has four blends: chicken, turkey and chicken, turkey and brown rice, and chicken and brown rice. These recipes are simple and delicious. Compared to the dinner of the dog owners, the dogs are receiving similar pleasure from the food! The simple pleasure of a whole food meat along with brown rice is a basic building block to proper nutrition and should be encouraged in your dog. The Newman’s Own Adult Dog Formula features raw chicken as its primary ingredient and this is somewhat of a mixed blessing. While raw chicken is undoubtedly wholesome and nutritious (even if it does contain feet, entrails and heads), it is made up of 80% moisture and nearly all of this is lost during the cooking process. Chicken meal on the other hand, may not sound quite as appetizing, but packs a vastly larger nutritional punch with up to 300% more protein by weight. So after processing, raw chicken will not be one of the top ingredients by weight. Luckily, chicken meal is next on the list so the protein needed to help with muscle and joint development and ensure strong bones is there in the bowl. Organic oats and organic barley are next; these are rich in dietary fiber and B-Vitamins. Barley is a particularly starchy carbohydrate but besides its fiber content, it is not of great nutritional value. 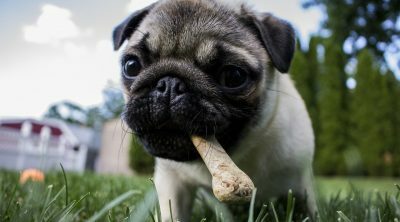 It should be noted that these types of grains, while not always, could cause allergies and skin complaints in some dogs. Many dog owners who have changed to a higher grain based food have also reported gastrointestinal problems. It is not uncommon however for a little diarrhea at first but to try to avoid this, phase in a new food over four or five days. 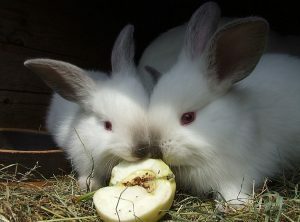 If symptoms persist, it is best to consult your veterinarian when changing food or if you see any adverse signs when you do so. The carbohydrate component is supplemented by organic peas, which are a great form of not only healthy slow burning calories but natural fiber too. Peas are also made up of around 25% protein so it’s a win-win when it comes to this tasty legume. Organic soybean meal is a byproduct of soy oil production and while not inherently bad, it is normally used as a farm animal feed. Soy production is also being recognized as a detrimental influence on agricultural lands not just in the United States but it is causing serious damage to the ecosystems around the world, most notable in the Amazon basin of Brazil. Soy is quite high in protein at nearly 48% so if your dog is not prone to allergies and is not particularly environmentally conscious, I doubt he or she will mind too much. Organic sorghum is a gluten free starchy grain cereal and has a nutrient profile similar to that of corn. 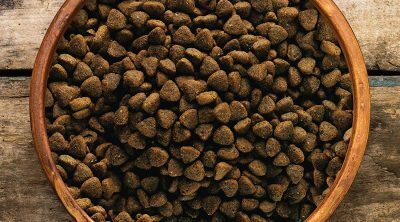 Not many people have heard of it but it is good quality filler that provides enough nutrients to justify its use as in dog food. The Newman’s Own canned foods line is a little more extensive featuring Organic Liver, Organic 95% Chicken Grain Free Dinner, Organic 95% Liver & Grain Free Dinner, Premium Turkey & Brown Rice and Premium Turkey and Chicken. If you really love Paul Newman then maybe this pet food is for you but it does seem to be an afterthought in the Newman’s Own Organic range. Canned food is often given to dogs who are resistant to kibble, are senior, have mouth and teeth problems, or are given wet food as a treat. Blended with kibble, the canned food can offer a new texture and taste to your dog’s meal as well as supply more vitamins and nutrients. Blending the two food blends together also helps to stretch the usage days out of the canned food. With the canned food, the first ingredient listed is chicken. Again, having a single ingredient meat as the first ingredient listed is a good thing. However, chicken itself is not as full of protein as the chicken meal. Chicken meal is not listed in the canned food ingredient list as it is listed in the dry food list. The second ingredient in canned food is water. 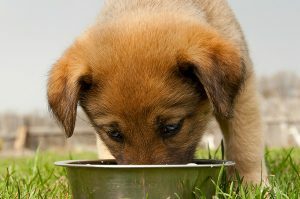 Water as an ingredient can be disappointing, but dogs do need to have water added to food in order for the food to be soft and moist. Water is also important in any diet so we (and dogs) are to remain hydrated. Next on the canned food ingredient list is salmon. Like chicken, the whole food meat of salmon is a good addition to the ingredient list, but does not contain as much protein as a salmon meal ingredient would. Adding chicken and salmon meal to the ingredient list would allow your dog to have a stronger diet base. Salmon itself is a good ingredient, however, and adds important omega 3 fatty acids to the nutrient base of your pooch. Dogs need omega 3’s just as we do! Fatty acids provide heat, brain, eye and circulation support as well as skin and hair nourishment. Next on the ingredient list of canned food are whitefish, brown rice, flaxseed and oat bran. These ingredients together blend to create complex a foundation of carbohydrates for energy, more omega 3 fatty acids, a bit of protein, fiber, and extra minerals. Paul Newman has used his own cooking ability and food developing talents to create product lines that appeal to humans and dogs, with profits going to everyone around the world. Save 20% every time with every order when signing up for autoship program. 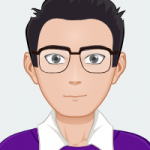 You can also check out prices and reviews on Amazon. Reviews for the Newman’s Own Organics dog food line offer a high, but not superior, rating. Many online review sites rate this line as the second highest score of four stars. A four star rating is good, and not easily achieved. Dog owners have rated the food anywhere from three to five stars, with mostly positive compliments in regards to the food. The Newman’s Own Organics dog food line is plant based in their dry food and could use a bit more whole food within the ingredient list. Chicken or salmon meal rather than the meats themselves would add much needed protein to the diet of your dog and possibly boost their review ratings higher. Online posters have stated their disappointment in Newman’s Own Organics dog food switching their food production from being made in the United States, to be made in Uruguay. Making a product outside of the U.S. causes Americans to lose jobs. This is a common occurrence and a problem within America that many citizens choose to fight against. Many people will simply not buy a food product made outside of America, and for god reason. 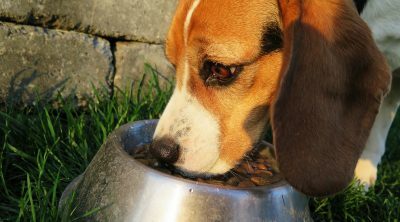 During the manufacturing and shipping stage, having the plant overseas allows for dog food to become more complex and at risk of becoming tainted. When dog food is created overseas, the exact specifications may not be adhered to, the storage may have poor regulations, and the shipping time may allow for improper storage of the food to remain fresh. An online reviewer of the Newman’s Own Organics dog food line noticed a difference in the canned food lines after the manufacturing location changed. When made in America, the food was more firm and seemingly food like. After the move to Uruguay, the food became moister and more water-based like in texture. After time has passed and the manufacturing remained in Uruguay, the texture of the Newman’s Own Organics moist brand became fatty with solidified deposits of fat within the can. This causes concerns for many reasons. The production standards were lowered, the overall healthiness of the food diminished, and the food is less reliable in consistency. Despite using many raw foods and natural ingredients in their recipes, the Newman’s Own Organics dog food line has not had any recalls. 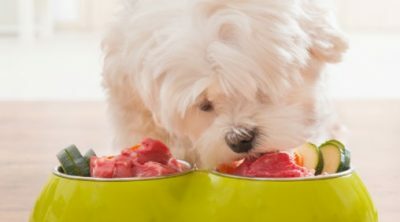 Recalls are bound to happen in any type of company dealing with food, but the dog food industry may be at an even higher risk of having a recall because of all the raw meat needed to create the healthy dog food. Not having any recalls allow the Newman’s Own Organics dog food brand to have pride in their quality and their check points of safety. A perfect rating of recalls is tough to do for any organization, but for Newman’s Own Organics dog food, this compliment is in regards to their high standards and their efficiency.